January is a month where I hibernate. I tend to just hide at home until miserable January is over (I know, I’m a little ray of sunshine at this time of year). I don’t normally have any problems sleeping, but I do have a few things in my night time routine which help. I got these products in a little gift set at Christmas and I’m quite taken with them. 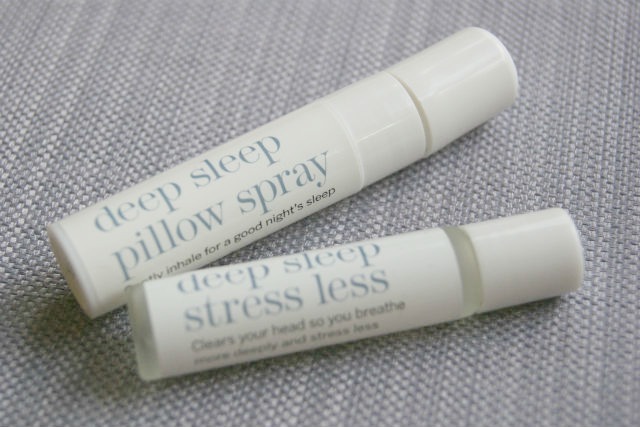 I prefer the pillow spray if I had to pick one of the two but with these two it’s the more the merrier so I regularly use the stress less pulse spot roller ball too. They both smell natural and the pillow spray has lavender, vetivert and wild chamomile to lull me off to sleep. The stress less roller ball has eucalyptus, frankincense and lavender and This Works say that it can be used any time of day when you need to unwind. I’m never quite sure whether they actually help me get to sleep any quicker or whether it’s a psychological part of helping me to relax, but either way it’s a part of my routine that I enjoy. More lavender! I might attach more importance to this than I think but I like to burn this candle in the evenings before I go to sleep. This candle doesn’t burn down particularly evenly which I find slightly disappointing, but after about 20 minutes it fragrances the room nicely. 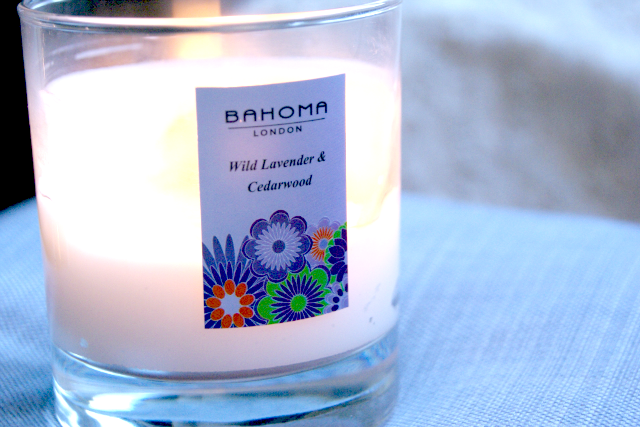 The cedarwood also helps to balance the lavender and stops it feeling too overpowering. 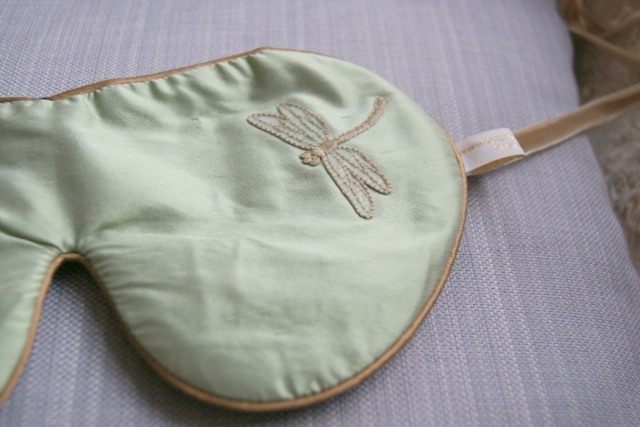 This eye mask is just beautiful. 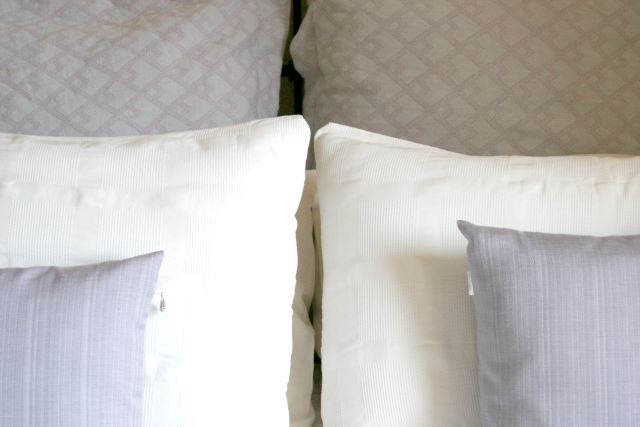 It’s British made, with pure silk on one side and dark velvet on the other. Holistic Silk claims that it simulates complete darkness to help you sleep and that it’s proven to reduce the formation of wrinkles, woohoo! I haven’t yet trained myself to sleep through the whole night with it on yet, but I reckon that it will be like second nature in summer and will help block some of the early morning light. Plus, I love a nap. Anything that helps me nap is a winner. 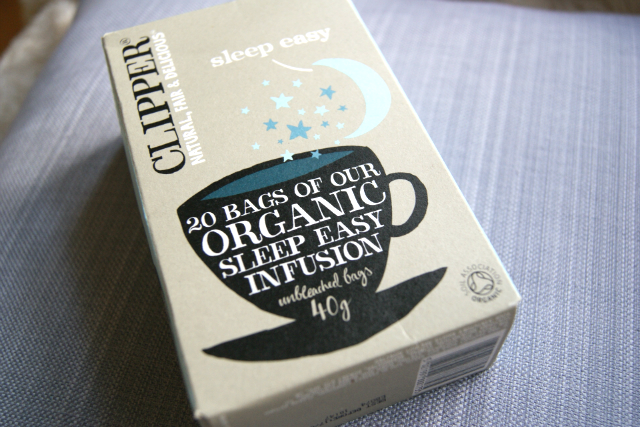 This sleep easy tea, or night time tea as it’s more commonly known in my house, isn’t to everyone’s taste but I love it. It’s a good warming tea, particularly in winter with cinnamon, chamomile and valerian.